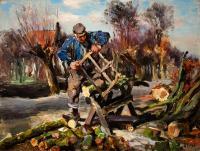 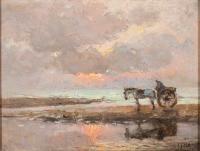 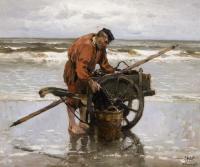 Alten visted The Hague in 1910 and painted several works in the style of the earlier Hague School masters. 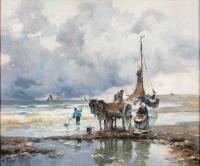 The Hague School (1860 to 1890) and Alten were both heavily influenced by the realist painters of the French Barbizon School. 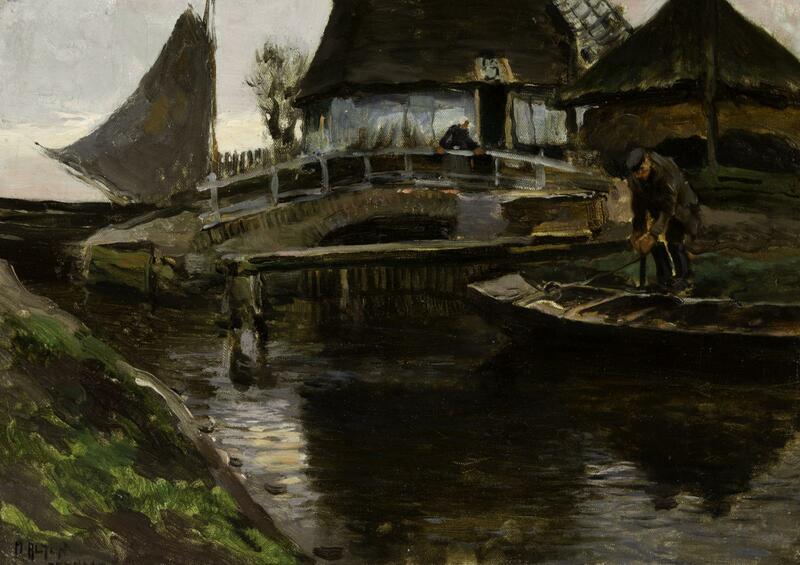 Man in small boat on the right side of the image, coming up to a white bridge with two buildings in the background.